The best restaurants in Berlin! Berlin is considered one of the best food destinations in Germany. The richness and diversity of Berlin's cuisine is reflected in the large number of gastro bars, delis and restaurants in town. Berlin's chefs create new unusual flavors, in small and simple restaurants and in luxurious gourmet temples with unique design and great stylistic refinement. The Berlin dining scene is constantly expanding. In 2015, the city had 26 Michelin stars (6 new stars) and saw the emergence of a new generation of talented young chefs who have opened several world-class restaurants. One of the new culinary trends is lower meat consumption and the increased focus on regional vegetables and seasonal fruits. Here is our Berlin culinary list to facilitate your choice of restaurants. In our recommendations, we present many good and cheap restaurants with excellent food and options for all tastes and pockets. We selected the best restaurants, from fine dining temples and gourmet addresses to popular and traditional eateries with typical German and Austrian food, we present Italian, French, Asian restaurants, national and international vegetarian and vegan kitchens. We selected different cuisines and restaurants, so there is something for everyone. Fifteen years ago, Berlin's restaurant scene was a ghost town, today, the German capital is the leading culinary destination in Germany boasting 20 restaurants with Michelin stars, 6 restaurants with two stars and 14 restaurants with one star making Berlin the most decorated city in Germany. Now the city is looking forward to the first restaurant with three Michelin stars and there are already some strong candidates for this coveted title. In recent years, Berlin has gained international prominence in the global food scene. Who are the drivers of this stunning change and the transformation of Berlin from a gastronomic no-man's land into a culinary mecca, who are the people behind the scenes and who are the best chefs? See our list of luxury restaurants in Berlin. Fischers Fritz was the first restaurant in Berlin to be awarded two Michelin stars and has held them for the sixth consecutive year. It is an exquisite restaurant that continues its award-winning prestige and the renowned chef Christian Lohse will make you enjoy an unmatched gourmet experience with delicious fish specialties in a unique environment. He is one of the chefs who raised Berlin's culinary profile and turned the city into Germany's prime food destination. Fine contemporary cuisine. The restaurant Reinstoff was awarded two Michelin stars. The innovative cuisine of its chef Daniel Achilles connects traditional flavors to current influences creating a perfect symbiosis between gastronomic traditions and new culinary experiences. The result is an explosion of flavours and aromas. This award-winning chef is largely credited with reinventing Berlin's restaurant scene. In the last five years, Berlin's cuisine has progressed a lot and Tim Raue is one of the protagonists of this progress that attracts more and more international attention. Tim Raue has taken fine dining in Berlin to the next level and now, at a fast pace, new excellent restaurants open in the city and many of them were inspired by the success of the master chef. Tim Raue is one of the most famous star chefs in Germany, he runs several restaurants, has published some books and presents a cooking show on television. The eponymous restaurant with the Asian-inspired cuisine has become an icon of Berlin's gastronomy and is one of the culinary highlights of the city's contemporary food scene. The set meal mainly includes seasonal products and can be served with four or six courses. Delights of French cuisine and high class wines in connection with the beautiful view of the Brandenburg Gate. The cuisine of Lorenz Adlon is inspired by traditional European cuisine, but with its own compositions and impressive interpretations of the great French classics. Texture is the new frontier of modern gastronomy with so many secrets waiting to be revealed. Chef Hendrik Otto is the master of combining intricate textures and refined flavours, he aims to surprise the eye and especially the palate of the most demanding clients. "My passion is to excite emotions with my recipes," says Hendrik Otto, who has been awarded two Michelin Stars and he is one of the strongest candidates of Berlin's star chefs to receive the third star. This is fusion at its best which lives up to the restaurant's noble reputation. Fine contemporary gastronomy in an elegant setting under the tutelage of Pierre Gagnaire at Les Solistes at the Hotel Waldorf Astoria Berlin. The renowned celebrity chef, who is owner of several Michelin - starred restaurants, presents top-flight classic French cuisine with an innovative touch. In the best French tradition, the restaurant LES SOLISTES has contributed to a great extent that Berlin's new gastronomy has reached such a high level of refinement and sophistication. Facil is one of the finest restaurants in Berlin with an excellent location at Potsdamer Platz, Berlin's new center. It boasts 17 points in the Gault Millau Guide, 2 Michelin stars, exquisite decor and an unrivaled service, everything skillfully and tastefully presented. Facil's chef, Michael Kempf, is famous for its modern and creative cuisine for discerning gourmets. Michelin - starred Hugos is one of the most experienced restaurants in the city and it continues to maintain a high standard and guarantees an extraordinary gastronomic experience. Chef Thomas Kammeier celebrates international cuisine prepared with regional and seasonal ingredients. Its menu is as spectacular as the exclusive panoramic view of the city on the top floor of the Intercontinental Hotel. A high-end restaurant at affordable prices. You don't have to spend a fortune to enjoy star cuisine in Berlin. Horvath, which received the second star in 2015, is probably one of the best choices to eat great food in a Michelin restaurant without breaking the bank, it has an excellent quality-price ratio. Austrian chef Sebastian Frank presents creative new interpretations of classic dishes. Sonja Frühsammer of the eponymous restaurant was the first female chef in Berlin to be awarded a Michelin star, a prize more than deserved. Her husband Peter, who is also owner of a Michelin star, handles the service. 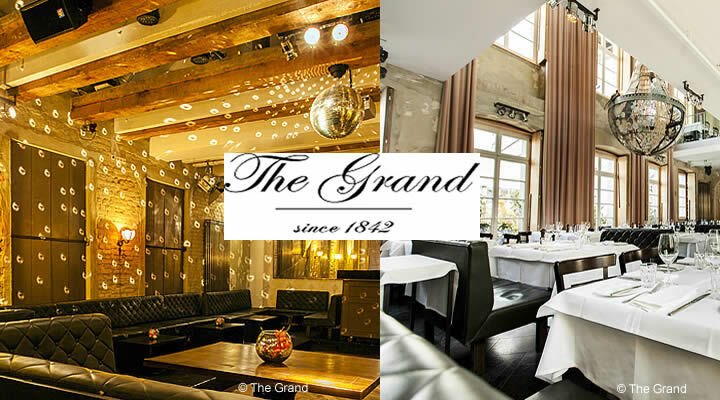 The restaurant is located in the elegant former living room of Fritzi Massary, one of Germany's most famous operetta singers and film stars of the 1920s. The cuisine of Frühsammers with its modern interpretation of classical Mediterranean dishes lives up to the highest expectations. Skykitchen Restaurant has recently been awarded one of the prestigious Michelin stars, making it one of the most acclaimed locations in the Lichtenberg district. Its chef, Alexander Koppe, evokes tasty and experimental compositions of regional and seasonal products. His specialty is the interpretation of traditional haute cuisine transforming and making it modern in an impressive way. Another asset of this intimate gourmet restaurant with excellent reviews on Tripadvisor is the outstanding view over Berlin. The signature dish is the 3-course menu "From Berlin to the Sea". Rutz consists of 2 units: on the ground floor, the cozy "Rutz Weinbar" mainly attracts wine aficionados, in particular, Riesling connoisseurs will enjoy a large selection of labels, primarily German whites. The restaurant of the house is upstairs. You can opt for 4, 6, 8 or 10-course-menus, each with an amuse-bouche and pairing wines. The second Michelin star was awarded in 2016 and there is no doubt that chef Marco Müller, the restaurant's food, wines and staff have the potential for the third star. Pauly Saal is located in the former gymnasium of a Jewish girls' school, it was designed and refurbished by Boris Radczun, owner of the equally famous restaurant GRILL ROYAL, all materials were made especially for this project. Pauly Saal offers a timeless kitchen that everyone likes. Chef Michael Höpfl's vision is the perfect combination of an extensive network of regional producers whose products he personally selects and uses with his team to create a sophisticated and refined cuisine using mostly organic ingredients. The restaurant was awarded a Michelin star in 2013. Lovers of Nordic food have a new destination in Berlin: Nobelhart & Schmutzig is part of the city's new crop of promising restaurants. Despite its odd location in a non-descript neighbourhood, Nobelhart & Schmutzig is the fastest restaurant in Berlin to receive a Michelin star, after six months only, chef Micha Schäffer and his business partner Billy Wagner gained the coveted award. The menu is based on the new Nordic cuisine, whose philosophy is to return to the roots of cooking and use exclusively ingredients from local agricultural production, only regional and seasonal meat, fish, vegetables and fruits, at the same time dishes are prepared with innovative and experimental techniques. This small place seats only 27 people, so advance reservation is highly recommended. The eponymous headquarters is in Munich, the world-famous Hofbräuhaus, one of the oldest breweries in Germany and a true icon of Bavarian food, culture and fun. It is the sanctuary for beer lovers from all over the world which now also has a branch in Berlin located at Alexanderplatz, near the Television Tower. Berlin's beer hall has the same concept and festive atmosphere, the same décor and music played by a oompah band and the same traditional German food, especially pork knuckle, schnitzel, different sausages, potato salad, giant pretzels, roasted pork, cheese platters, nowadays, vegetarian options are also available. Waiters and waitresses in traditional Bavarian outfits serve beer in half-liter or 1 liter steins. Beer hall entertainment is guaranteed, especially when the band plays the restaurant's own anthem with everyone swaying and singing along. At the Hofbräuhaus Berlin they also celebrate the Oktoberfest, the popular annual beer festival with Bavarian folk songs and dances. If you are with children and prefer a calmer place, ask for a table upstairs where it is much more relaxed. Hofbräuhaus also has a nice beer garden, in the summer time it is usually a favourite option and packed with both locals and visitors, you sit at long tables that you share with fellow visitors. When it comes to good traditional German food at a reasonable price, Maximilians is unbeatable. The Bavarian-style brewery restaurant with a capacity for 250 people is at the top of the list of good value eating places in Berlin. The executive two-course menu (Tagesgericht in German) is renewed daily and served from Monday to Friday for € 6.95 (starter or dessert and main course). The menu offers the best of typical German food: all types of sausages such as Weisswurst (white sausage) with pretzel (Brezel in German) and sweet mustard, Nürnberger Würstl (Nuremberg spicy pork sausage), Currywurst and all the other dishes that are typical of German home cooking, Eisbein, Kassler, Schnitzel, the quintessential German dish. Maximilians is proof that it is possible to eat well in Berlin without spending a fortune. Maximilians is one of the restaurants that accelerated the gastronomic boom of the Mitte district in Berlin. Tip for the fans of schnitzel (breaded pork loin): Thursday is "Schnitzeltag" (the special of the day is breaded pork meat) and the place is usually very crowded, but the service is fast and efficient. Maximilian's schnitzel is garnished with slices of lemon and sprigs of parsley, it is served with traditional German accompaniment: potato salad or French fries, mixed salad. Guten Appetit! Enjoy it! Tim Raue's portfolio includes several outstanding restaurants, but la Soupe Populaire is a very special one, let alone that it is the cheapest of all his excellent eateries. The shabby chic interior is in line with its location in an abandoned factory. Dishes are a blend of regional cuisine and several culinary elements that the chef synchronizes with the respective art exhibition in the restaurant. 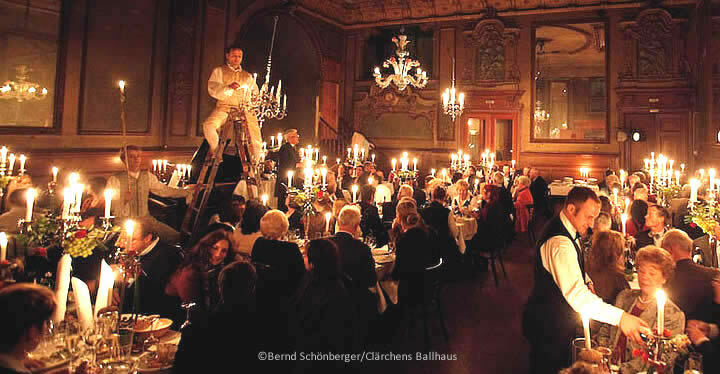 Clärchens Ballhaus deserves to have its own classification because it is one of the last ballrooms in Berlin, it is perfect for those who miss a bygone era. The nostalgic mix of ballroom-bar-restaurant is unique in Berlin, a true living relic of lost Europe and reminiscent of the golden years of social ballroom dancing in prewar German halls of yore. Customers of all ages, from 20 to 70 years. The trend of nostalgia among young people is also evident in the retro environment which is becoming increasingly popular. Authentic Berlin cuisine, pure nostalgia, music and fun at reasonable prices (15-25 euros). How to get there: S1, S2, S25 Oranienburger Str. Berlin cuisine, typical courtyard, historic building. For those who like to get to know a new Vietnamese cuisine in Berlin-Mitte, Monsieur Vuong is the right tip. This trendy restaurant has become the favourite of Asian food lovers who are looking for something cheap and good, both locals and visitors flock to this small and unassuming eatery which is reputed to be one of the best Vietnamese restaurants in Berlin. Monsieur Vuong is a very busy place, almost always crowded and getting reservation is not easy. Tasty and exotic dishes, great juices and divine drinks, everything cheap (from 8 to 12 euros the dish) with shared tables and seats at the counter. How to get there: U5 samariterstr. How to get there: u7 Gneisenaustr. How to get there: u8 Schönleinstr. How to get there: u7 Eisenacher Str. How to get there: S Oranienburger Str. How to get there: u15 Uhlandstr. How to get there: U2 Eberwalder Str.